This large pottery shaving bowl is hand-thrown and glazed in a bright white over a brown clay. 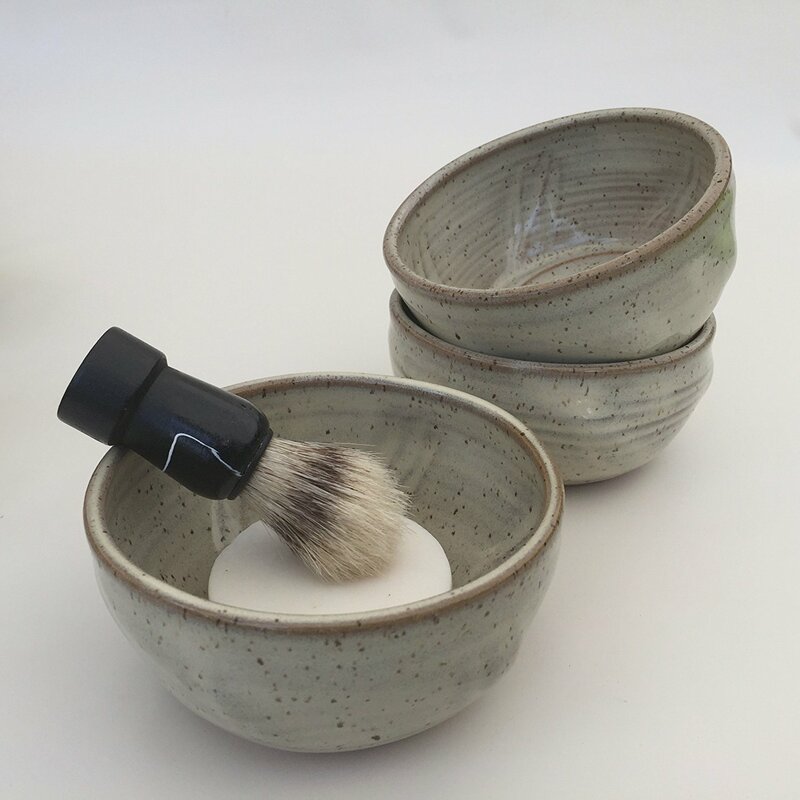 This larger bowl has almost twice the volume of the normal sized shaving bowls made by JaysClay. The large bowl measures about 2 1/2 inches high and 4 1/2 inches wide. In order to compare the two different sizes offered by JaysClay, please see the picture that shows the regular size bowl nested in the large bowl (this listing). View the listing for the regular size bowl at www.amazon.com/dp/B0189QUHSQ. 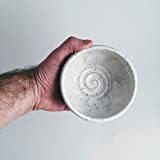 If you are interested in shaving bowls in other colors, such as purple, white and green, type JaysClay into the Amazon search bar and you will see the other items available. This white bowl is a functional piece and is dishwasher and microwave safe. This and all of JaysClay products are made completely in the USA.